Kunos Simulazioni have given us a little hint at where the studio’s Assetto Corsa title is heading in 2018. The full statement includes an interesting part in which product manager Marco Massarutto gives us an idea of what to expect from the studio in the upcoming year. Yes, the future: what can you expect now? 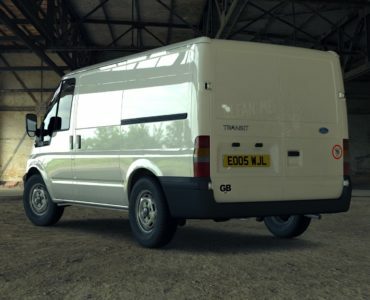 As I have said, Assetto Corsa has kept Kunos Simulazioni busy for almost seven years, and we have continued to update the game for three years following its 1.0 release. Assetto Corsa is not just a “game”; it is based on a technology designed and developed in-house, which is not a secondary detail, given that this is the technology that will determine and define the quality, gameplay and potential of the games to be based on it down the line. This is why we dedicated years to improve an engine that had originally been conceived in 2011, and this is why during 2017 we also dedicated time and resources to R&D activities that will define what we are going to be busy with in the years to come. In 2011, Assetto Corsa was conceived to be a moddable platform featuring – possibly – 20 cars, 5 tracks and the basic functionalities typical of a driving simulation. 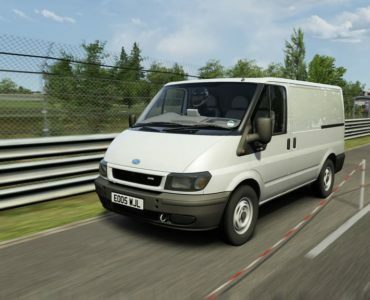 Today, it offers 177 cars in 20 classes and genres, 19 tracks in 35 configurations, an offline career, custom championships, a solid multiplayer experience and much more, not to mention the ongoing support for modding, which has seen improvements through the years and resulted in an incredible collection of third-party content created by a dedicated community. And sometime we still can’t believe that Assetto Corsa has gone so far. But it is not just the software that has changed and evolved throughout these years, but also the company itself. What was once a group of four guys trying to wage war on the most established names in the business is now a bigger team. Finding the “right people” to insert into such a peculiar working environment such as Kunos Simulazioni is not an easy task, and it’s something that has kept us busy during 2017 as well. I am glad to say that the results are encouraging and the future looks bright thanks to the new talents we were able to add to our team and that will join the ranks alongside the founders me and Stefano, the guys of the “old guard” who joined us since the beginning and all the other people you’ve learned to know during this adventure. All of the above thanks also to our new “Benevolent Overlords” in Digital Bros, allowing us to think and dream bigger than we could only a few months ago. Talking about the Team, in 2017 we welcomed four new programmers specialized respectively in graphics and gfx, UI and animations, mechanic and physics, online racing environment and ranking, with the aim to improve in those areas that can make your experience with Assetto Corsa games better and better. There is always a margin for improvement: even after a lot of hard work to reduce this margin throughout a long development period, 2017 was a highly important year to us to define the new basis in the technology we will use in future. Even today, the community keeps asking for something new, and that is great as it means that you continue to keep us involved in fuelling your hobby, passion and training tools. To meet your expectations, and to support the features that our current technology cannot manage, some – actually a lot of – work will be required. So, it’s time to move forward. A bit too vague for you? 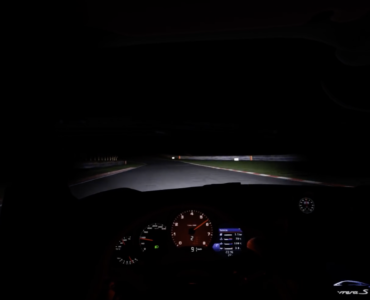 Well, the image released alongside the statement might give us an idea of where our Italian friends are heading, showing what looks like Spa Francorchamps at night, even though night racing is not supported in Assetto Corsa….yet? The clouds look like Kunos clouds. There is also a poster of a Porsche on a night green hell, floating around in a recent video interview, the Race Department staff had with Kunos at the Simracing Expo, the night sky and clouds plus stars in the night sky, looks very similar to the image shown here. Merry Christmass and happy new year Melanie! Its not really about night racing its more so that the game engine will finely be able to simulate British gray weather properly. This is why I love Project CARS Grey overcast weather, I hope Kunos improves the lighting in AC 2, to make it on par or better than the lighting used in the Mad Engine. What do you mean manufacturers are rapidly abandoning? That doesn’t mean endurance racing as a whole is dying. That’s just how Le Mans is, it has it’s cycles, Group C came, had its peak, then disappeared, GT1 came, had its peak, then disappeared, and LMP1 came, and had a peak and how it may change but that’s just the top class of Le Mans. GTE is still strong with manufacturers. Not to mention all the other branches of sportscar racing. This years Daytona 24 entry list is as good as it’s ever been and Blancpain GT is still doing good. Didn’t the GT1 series run for like two years? Group C was the peak, endurance racing isn’t as important anymore, arguing the (near) collapse of LMP1 doesn’t matter is like saying single seater racing wouldn’t be affected if all the manufacturers bailed on Formula 1. Im not saying Audi and Porsche leaving LMP1 Hybrid doesn’t matter. I’m saying Le Mans will recover as time goes on. It’s the end of a era, and out of that a new era will come. The future of Le Mans is increasing looking like we may see GT1 type cars return with Aston Martin pushing for it and Toyota revealing a concept hypercar today. And there were two types of GT1 cars. In the late 1990s, GT1 was the top class, and GT2 was under it. That GT1 class was the one with the homolgation specials like the Porsche GT1, Toyota GT One, Mclaren F1 etc. The GT2 cars had Porsche 911s and Vipers and stuff, when the GT1 class died cuz of Mercedes’ dominance, they renamed the GT2 class ‘GT1’. Then later in the 2000s the new GT1 class (former GT2) HAD Ferrari 550 gt1s, Saleen s7 gt1s, Corvette c6r, Aston Martin Dbr9 etc. That class died in 2011 because of the raise of GT3. Also Porsche will be back at Le Mans in the future. Yes, Porsche has a long history at Le Mans, they aren’t going to let any manufacturer get close to their record for overall wins. That’s some interesting logic there. I guess Audi would first have to come back and win a few races? Maybe, I don’t know everything, I’m just a fan. All I’m saying is that I’m confident I’ll see Porsche at Le Mans again in my life time. Just out of curiosity, how long have you been following the sport. I have since 2010 and I’m 19. Motorsport? Formula 1 since ~2002, other series less so. Not massively interested in endurance racing. Ah, I don’t come from a family that ever was into motorsport so I had to become a fan by myself. I discovered F1 in 2010 and watching Truth in 24 on Youtube is what got me into endurance racing that same year. 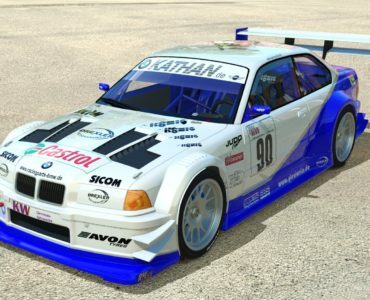 Personally I just want to see Something like Sim racing system integrated directly into AC to me that would be perfect. Even if its limited to something popular like GT3 with a daily track rotation and 15-20 minute races each hour, putting all people into that one event. That would be fine to start with and once that gets to 4+ splits of 15 cars or more consistently, then look at adding another event. Its a simple fact that for close mostly clean online racing you need Safty rating + Ranking + Mach making , it does not even need to be perfect as SRS, iRacing and GT sport (which is a mess but still better than pub servers) have shown. they don’t even need to go full iRacing just have one event every hour and make sure its available in the game by default and make sure SR and ranking is displayed clearly as well as which spit you manged to get in then make it super prominent in the game. At the end of the day gaming is all about E-Peen and to be honest mine is tiny (because I swam in the cold sea and its winter) and if you dont give players a way to compare E-Peen easily they just wont bother. Simulators need to be like football club shower everyone should be able to compare E-Peen daily and with no obsticals. I miss a car matchmaking as well, so an optional BoP not only for GT3-cars, because that’s the main reason GT3 is that popular. I think in pCars 2 they did it with different tyre-grip when it comes to “track”-tyres. Certainly not all cars in one group can have the same lap-times around every track, but if they iron out some minor performance-differences on average tracks like Nürburgring GP, there could be some nice new classes to drive. AC is my go to sim for hotlapping and a bit of VR AI races. I knew it was special ever since the tech demo, I lapped that Lotus a thousand times. However I’d love to spend more time with it for online racing, until AC2 arrives iRacing takes that spot. Good luck Kunos for 2018, if you apply your fantastic ability to more features it will be a one for all simulator. Just don’t screw with the tire model, it’s about the best there is in sim racing. Ähm no, its not. Sure it is desent for a causual sim based game like AC but faar far away from an animal like rF2 or even AMS! rFactor 2 tyres model I could understand, but AMS, are you having a laugh, that sim still uses the wooden tyre model that is rFactor1, get over yourself. That wooden tyre model you are talking about is done by Niels Heusinkveld. Wipes the floor with any tires of AC. You can put as much parameters in there as you need. The better the input the better the output. Flatspotting and dirt pickup is not something rF1 featured. Oh wait, you’re that bedroom modder that created that lifeless Hong kong dlc track for rFactor 2, you know that shaderless bland track. I couldn’t care about this skin and bone Niels Heusinkveld person, am I suppose to follow your cult that says this one guy that has no other experience in making physics only for gmotor games using micro soft word is a “Guru”, only Dinosaurs like you that still think anything ISI is the best praise him hence it’s got to his head. How many people play AMS on a weekly basis? 20, 30 40 max, well that says it all, not many like the physics, content, visuals, FFB in that dated old stone age game, it still uses the rfactor 1 engine, and it still feels like rfactor 1, lifeless, none existence ffb. could this also hint at AC2 possibly ?